Cardio-respiratory arrest in children can be stressful for health care professionals/emergency services as well as the children's relatives, hence the importance of proper training in the recognition and management of the seriously ill paediatric patient. 3. 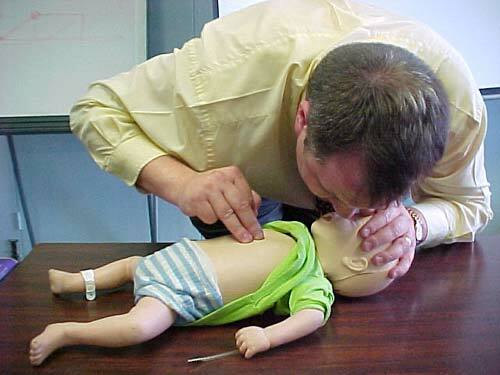 Management of the airway. 4. Airway adjuncts - Bag valve mask, pocket face mask etc. We train the individual to use the airway adjuncts that are available to them and appropriate to their professional background. A significant amount of our current training includes tracheostomy tube management. 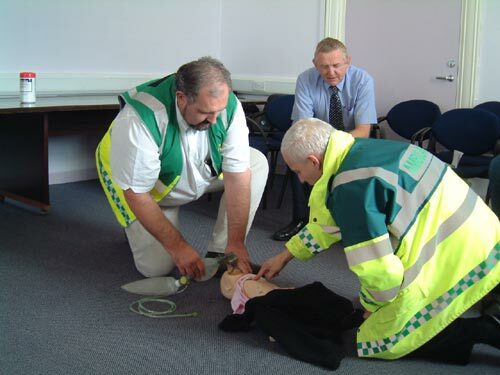 Very often basic life support (BLS) has already been initiated by others therefore you role in a resuscitation attempt whether calling an ambulance or supporting the relatives is also addressed. Our training courses are practically based with a large emphasis on 'hands-on' candidate participation. Content is covered by a short lecture, demonstrations, skill stations again the focus on realistic scenario-based education giving you the confidence and basic skills required to offer the casualty the very best chance of survival.